MoJo Promotions stock a first class range of personalised bic products, all designed to be custom printed with your information. 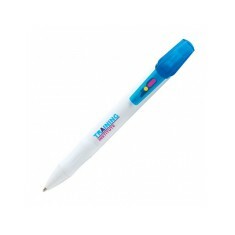 Bic Products provide a excellent way to advertise your company name. 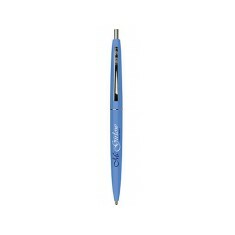 The value of personalised bic products is sure enough to ensure your promotional needs are met. 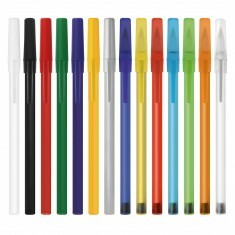 Our catalogue includes - BIC 4 Colours Highlighter Pens, BIC Media Max Ballpens, Bic Ecolutions Ballpens and BIC Media Max Digital Ballpens to mention but a few. All of our items can be custom printed to suit your targets, please contact us for more information. Make your branding pop with our custom printed Bic Round Stic Digital. 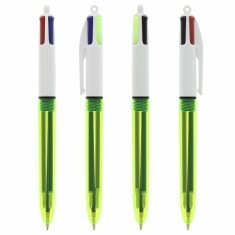 This pe..
Our custom printed Bic Media Max Ballpen has a soft, sleek gripping section an..
16 colour choices. Chrome trim. Large branding area. Fast turnaround. For the most personalised and bespoke writing implement available, look no fur.. Bright yellow gel option. 3 popular standard colours. Official BIC product.